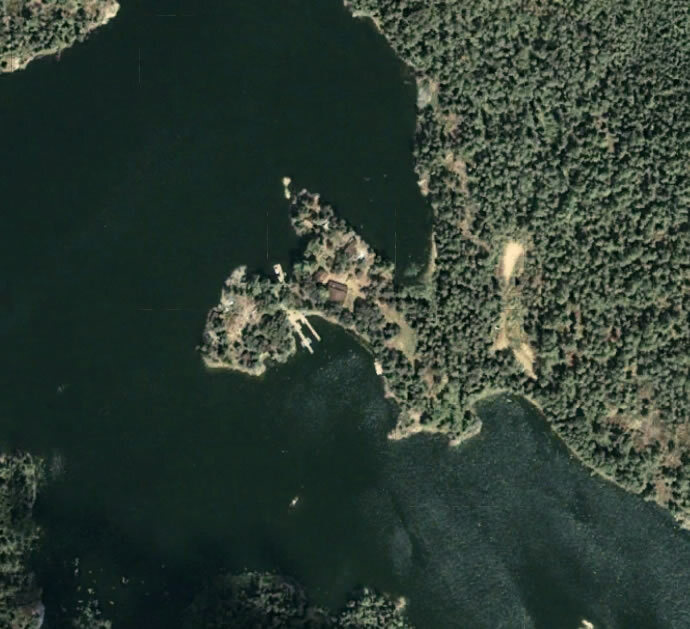 Grassy Narrows Lodge is located on Miles Bay, deep in the heart of beautiful Lake of the Woods, Ontario, Canada. The lodge is sheltered and remote. After you have parked your vehicle in the secure lighted parking lot in Morson, you board one of our comfortable cruisers for a twelve mile (20km) scenic ride to the camp. Satellite TV is available in our Lodge for those who would like to keep tabs on their favorite sports team or the latest world news and Wireless Internet access in the lodge and a guest computer to check your emails. 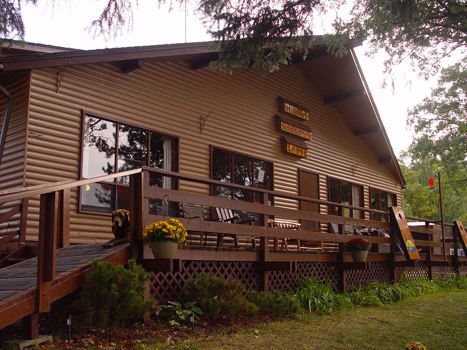 Camp consists of eight fully modern cabins and a main lodge. Our cabins all have showers and flush toilets. 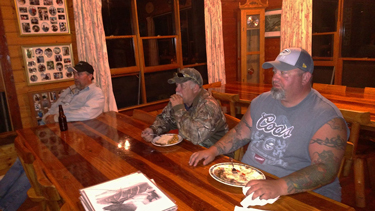 After a day of fishing, it's a real treat to cool off with a refreshing shower and head up to the lodge for some great home cooking. Our family-style meals are excellent. Expect to gain a few pounds during your stay. Additionally, we can accommodate to any special dietary restrictions or requests if you let us know while booking your reservation. After supper, you may wish to play a game of horse-shoes or play a fun game of baggo. Or if you want to sit around and meet some of the other guests, come join everyone at the bonfire ring. Electronic Dart board is available in the lodge or take a paddleboat ride. For those guests who wish to take advantage of the clear night skies, a telescope is available for viewing the moon and stars at dark. Our staff goes above the call of duty to make your stay relaxing, comfortable and fun. We are sure your first visit with us will not be your last and that is our goal. See you at Grassy Narrows soon.